The perfect rug can complete the look of a room. 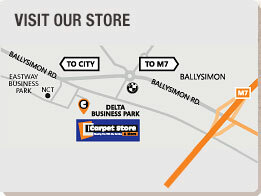 At the Caret Store and More we stock a full range of rugs so finding the right one for your home will be easy! From soft and lush designs for bedrooms to hardwearing practical finishes for busy areas such as your hallway we have a rug which will fit perfectly with your decor. Adding a rug to any space keeps the room cosy and can often act as floor insulation helping with the energy bill. Explore our huge collection of high quality rugs in store now!